In this week Episode 42 show topic: “Why Denial Is The Worst of Mr. Fear” Part 1 by host Nichel Anderson to the reason denial reduces the changes for your joy and mental peace when choices led to it. In this podcast, Nichel will focus on dealing with denial in our personal relationships in Part 1 and next week Part 2 in our career. Today’s podcast will provide the reasons for people that chooses denial and the phases to move past such a mindset to a better life, new and to sustain joy, as well as receiving mental peace for a happier life. We all experience the phases of denial to deal with moments very challenging and the key forward is in identifying the root of the cause leading a mental solution. Learn why Mr. Fear dispatches Denial that connects with Worry into our lives and use strategies to come out with a victory. If you like this podcast show it - follow / and share with someone to inspire them ... there is hope. 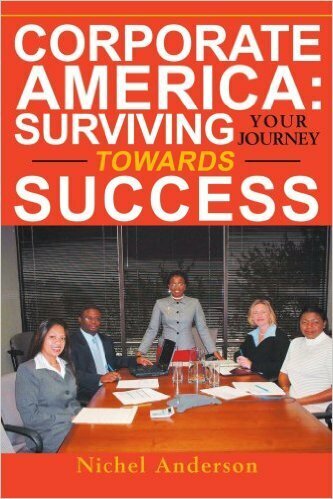 Buy my book: "Corporate America: Surviving Your Journey Towards Success"
Check out Nichel Anderson second Podcast Show: "Nichel Anderson Short Stories And Beyond"